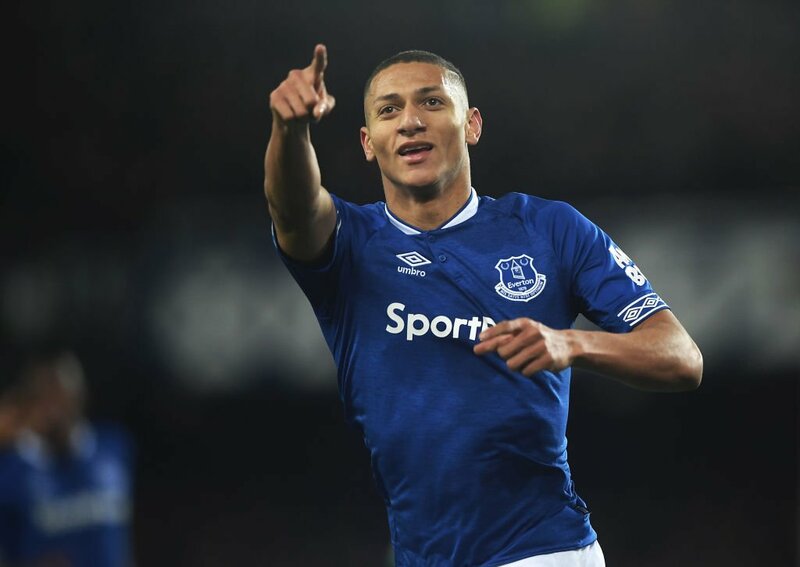 Everton are facing the prospect of losing star man Richarlison to Atletico Madrid, according to reports. The Toffees forward was in blistering form during the first half of the campaign but has struggled to maintain his performances since the turn of the year. It won’t deter a host of top European clubs ready to swoop for his signature. Chelsea are thought to be considering a hefty bid along with Paris Saint-Germain and AC Milan. But according to AS, Atleti are ready to steal a march and have already made contact with the player’s representatives over his availability in the summer. Everton are attempting to ward off clubs hovering for his signature by slapping an £80million price-tag on the Brazilian. Richarlison, 21, joined Everton from Watford last summer in a deal worth £40m and reunited with former boss Marco Silva. He has scored 10 league goals this season but only has one Premier League strike since Boxing Day. It was a similar story at the Hornets when he started the campaign on fire before seeing his form drop off a cliff. His future at Goodison Park could also rely heavily on whether Silva Survives in the job. Richarlison followed the gaffer to Everton following his time at Watford but now Silva’s job is hanging in the balance after a string of disappointing results.